Smart Farming is the logical continuation of Precision Farming. 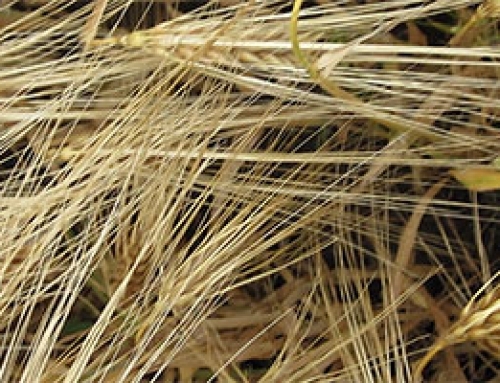 Precision Farming is an umbrella term for all farming measures which take into account small-scale differences like e.g. different soil types within one field. While the focus for Precision Farming was on the machinery to facilitate site-specific management, the focuse for Smart Farming is on information-guided plant production. 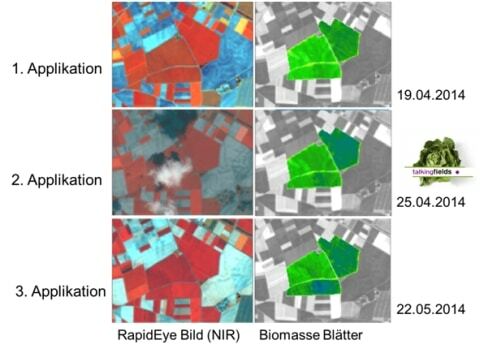 Satellite images provide overview, show patterns and allow estimation of in-field heterogeneity. Thus, these images can support the farmer in his decision making process. By using satellite data, a field-specific crop vigor analysis can be done to derive a site characterization. 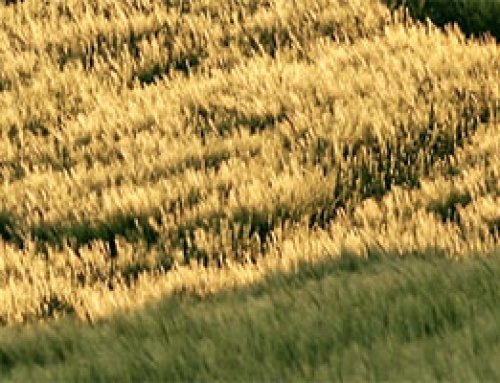 This allows an estimation of the possible economic benefits of future application of precision farming techniques. 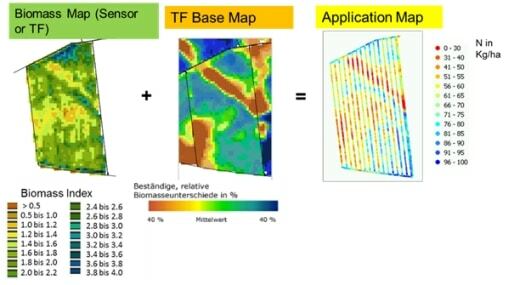 Parameters which can‘t be directly observed with remotely sensed data like dry biomass and grain yield are modeled by TalkingFields using a crop growth model which uses remotely sensed data as up-to-date spatial input. Yield modeling gives an early overview over the canopy development within fields and results in a realistic prognosis of the final yield. In this area VISTA cooperates with FarmFacts (formerly known as Landdata Eurosoft). Detailed information about the joint projects can be found at TalkingFields. Here, only a few examples for applications will be shown to give a first impression of the possibilities remote sensing has to offer for Smart Farming. In the TF Base Map the long-term biomass potential of a field is determined via geo-statistical analysis of multi-year satellite data. This potential mainly depends on the site characteristics such as the water holding capacity of the soil. Even though it cannot make any direct statement about the reasons for the heterogeneity within the field the TF Base Map serves as a practical basis for a closer analysis of the parcel, e.g. via GPS-based soil probing. Similarly, the TF Base Map can be used for the directed placement of experimental strips for iterative field trials. Owing to such a trial set-up the initial conditions are no longer distributed randomly but equally among the experimental strips, thus preventing the misinterpretation of differences in the yield achieved on the strips. Common tractor sensors used for nitrogen fertilization and plant protection measures rely on the same measuring principle as satellite imagery, i.e. 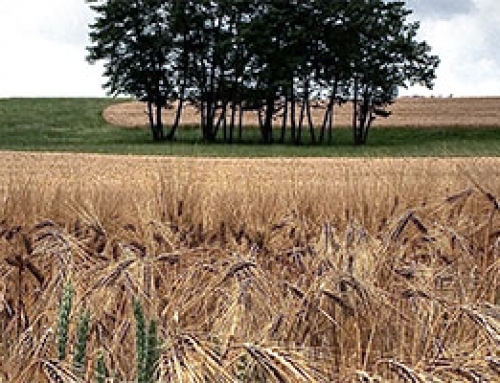 the reflexion of the crops in the Visible and Near-Infrared segment of the electromagnetic spectrum as an indicator for the nutrient supply and overall biomass of the crops. Consequently, the same or similar methods can also be applied from space. In doing so the advantage is that no additional calibration runs or areas in the field with no measures are required. 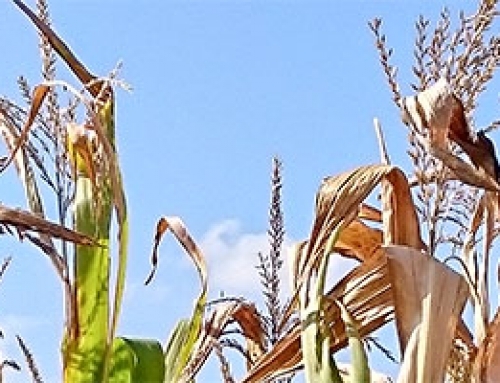 Via coupling with a crop growth model it is possible to both retrieve the absolute dry biomass from satellite data and provide information even on cloudy days. Various scientific studies and field trials have shown that in site-specific nitrogen fertilization the best results are achieved through a combination of the integration of long-term yield potential and present state of development and nutrient supply of the crops. This is called the “map-overlay technique”. 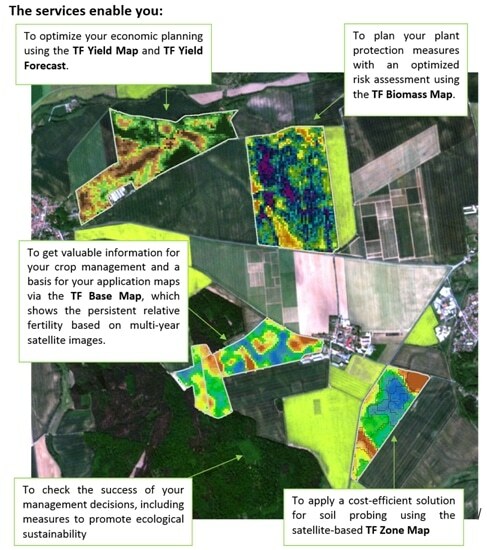 Through the extraction of long-term biomass distribution patterns from archived satellite data and the calculation of the present state of the crops from both current satellite data and the crop growth model it is possible to build the map-overlay technique on a consistent, spatially comprehensive database via the methods available at VISTA/TalkingFields. 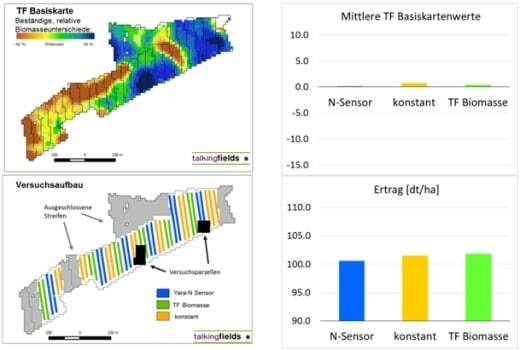 In field trials carried out in the TalkingFields project with winter wheat the map-overlay technique resulted in an excess profit of about 50 €/ha through an increase in yield and simultaneously a reduction of necessary fertilizer when compared to a homogenous or a purely sensor-based (GreenSeeker) nitrogen fertilization.